Say hello to the new and improved Shan Shan? It looks like Li Shu may be out of the way…for now, but our beloved Shan-Teng still aren’t back to their adorable selves yet. Their “cold war” has been so chilly that even their appetites have been frozen. And you know when Shan Shan is not the mood to eat her favorite beef noodles, something must be wrong. Liu Liu asks Shan Shan if the reason why Feng Teng never visited grandpa at the hospital with her was because she never told her family about their relationship. Shan Shan tells her that she and Feng Teng ended up fighting because of just that, and are now in a “cold war” with each other. Silent treatment, eh? Liu Liu says that it may not necessarily be a bad thing that he’s angry with her because it just means that he cares about her. Shan Shan asks if she thinks it’s her fault and if Feng Teng is justified in being angry. Liu Liu reasons with her that when it comes to these types of relationship problems, it’s hard to tell who’s wrong or right. Shan Shan heads over to the apartment that Feng Yue let her family stay in to help tidy up the place. While she’s cleaning up the living room, the housekeeper starts freaking out because one of the crystal glasses in the bedroom is missing. Shan Shan realizes that Liu Liu’s mom was staying in this room, and must have taken it with her when she left. This ain’t no hotel where you can take the free shampoos, lady. Shan Shan reassures the housekeeper that she’ll find the glass and that she won’t get in trouble for it. When she calls her parents to ask them about the missing glass, they’ve already found it and are mailing it back to her. Well, that was easy! That night, Shan Shan goes to her usual beef noodles food stand for dinner. But this time, the noodles are tasting really bad. Shan Shan figures that a person’s mood really does affect the appetite. Truth…especially since she can’t stare at Feng Teng’s handsome face over the noodle. She thinks to herself how a crystal glass that is casually placed around the apartment means so little to the Fengs, but is treated like a treasure by her family. Just a small crystal glass is enough to highlight the difference between her and someone like Feng Teng. What’s wrong with these noodles? Shan Shan calls Feng Yue to let her know that she’s going to get the glass back soon, and apologizes for causing more trouble for her. Feng Yue tells her that it’s not a big deal and to not worry so much about it. When Feng Yue explains to the rest of the group what Shan Shan was calling about, Li Shu laughs about it and says that Shan Shan is overreacting way too much over such a trivial matter. Feng Yue agrees with her and then accidentally lets it slip that she really dislikes Liu Liu’s mom. Next to her, Feng Teng has remained quiet during the whole conversation and is definitely looking annoyed. 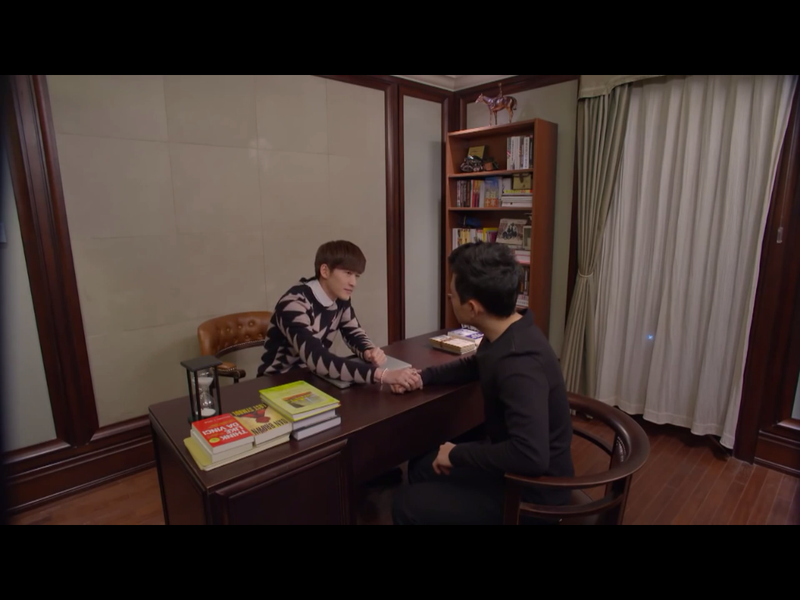 After dinner, Yan Qing pays Feng Teng a visit in his office to apologize for what Feng Yue said about Shan Shan’s family. Feng Teng asks him if he ever considered breaking up with Feng Yue when they were dating. Yan Qing tells him that in all honesty, he did think about it. He thought that if they weren’t together, it’d be less tiring because he wouldn’t have to deal with all the naysayers around them. But he changed his mind because he knew that he’d be really miserable without Feng Yue. He wanted to prove to everyone, Feng Teng included, that he was the man that she could rely on. Perhaps feeling a little more hopeful and encouraged by this conversation, Feng Teng hopes that Shan Shan can be as brave as Yan Qing was. Besides the “cold war” that he’s currently in with Shan Shan, Feng Teng also has his hands full at work. Windgroup is being used by another tech company for using their ideas to make the Windgroup app. Zheng Qi and Feng Teng agree that they’re not going to let this other company wrongfully accuse and sue them for something that they invented on their own. With the business talk out of the way, Feng Teng asks Zheng Qi about a pic that Zheng Qi uploaded on social media of himself with an artist girl. Zheng Qi tells Feng Teng that he and Li Shu are on a “break.” No good ever comes from these breaks. Didn’t he see what happened with Ross and Rachel on Friends? Feng Teng argues that there’s no way that Li Shu can be calm and think things through between them if he’s over there uploading pics of himself with other girls. 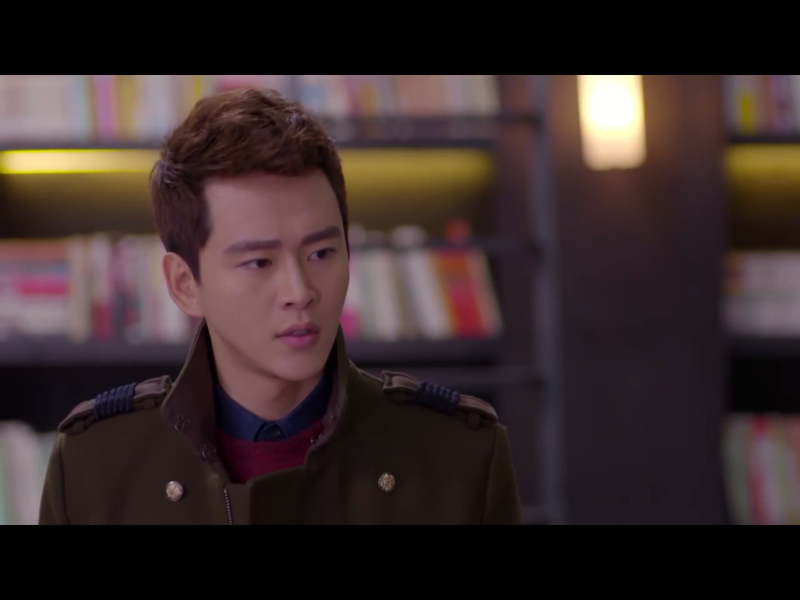 Zheng Qi tells him upfront that he and Li Shu were never actually together, and that she was only pretending to be dating him to make Feng Teng angry and/or jealous. Hearing how emotional Zheng Qi was getting when talking about him and Li Shu, Feng Teng tells Zheng Qi that he not only likes Li Shu, he’s fallen in love with her. Do him a favor and date Li Shu. Li Shu doesn’t have much to say about the break up, so Shan Shan sorta changes the subject and asks Li Shu if she thinks Feng Teng treats her well as his girlfriend. Li Shu tells her that of course Feng Teng treats her well. Sensing that there’s trouble in paradise, Li Shu’s eyes light up and waaaay too enthusiastically asks if there’s something wrong between her and Feng Teng. Ugh, calm down. Shan Shan immediately denies anything’s wrong and tries to laugh it off. Not even trying to hide her excitement. During their “cold war,” Shan Shan wonders to herself what she can do to be a more worthy girlfriend for Feng Teng. She is determined to improve herself in some way because she doesn’t want to just ignore what everyone’s saying, and shamelessly remaining by his side when everyone thinks that she’s not good enough. In the meantime, Feng Teng is eating dinner by himself and is clearly very sad that Shan Shan’s not there with him. Remember that whole thing about bad mood = bad food? Zheng Qi is having plenty of relationship problems himself, especially when the artist girl shows up at his house uninvited. Her excuse is that she’s here to give him a painting that she painted especially for him. Then, she walks around his place, complimenting how everything there is totally her style. Zheng Qi couldn’t care less what she thinks about his house, and quickly escorts her out of there. When she leaves, he turns off all the lights and sits in the dark to think about Li Shu. Tres emo. When Shan Shan gets the crystal glass in the mail, she calls up Feng Yue to let her know and to offer to treat her to dinner as an apology. Feng Yue tells her that she’s free later on, so they can call Li Shu to go shopping and eat dinner with them. Oh boy, shopping with these two again? 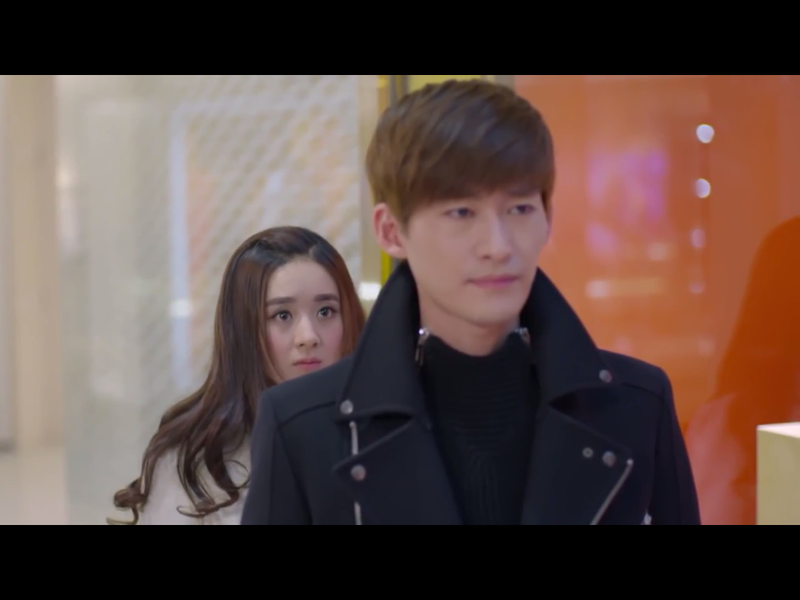 During their shopping excursion, Yan Qing calls Feng Yue to let her know that he has to stay late at work and can’t come to pick her up. Refusing to take a cab home, Feng Yue calls Feng Teng to ask for a ride home. Shan Shan immediately looks worried because she hasn’t seen or talked to Feng Teng in quite a few days. In the store, Li Shu picks out a pair of tall boots for Shan Shan to try on. Not realizing that the boots are two sizes too small, Shan Shan gets one of her leg stuck in the boot. That evil Li Shu and her shopping sabotages. Feng Yue tells her not to panic and to wait for a sales associate to come by to help her, but Shan Shan is desperately trying to get the boot off ASAP because she wants to get out of there before Feng Teng comes. Outside the mall, Feng Teng calls Feng Yue to ask why they haven’t left yet. She tells him that they’re going to take a little longer, and suggests that he just meet them inside the store. Hearing that Feng Teng is on his way up, Shan Shan gets even more desperate and panicked in trying to get the boot off. Too late though because Feng Teng’s already here and sees Shan Shan with her leg stuck in the boot. He tells her to calm down, and he quite easily helps her take off the boot. When Feng Teng tries to walk away after helping Shan Shan get rid of the boot, Shan Shan immediately puts her arms around him to stop him from leaving. Omg, I’ve missed this Shan-Teng cuteness. She asks him if he’s still angry with her. Feng Teng responds by telling her to let go of him, but she hugs him even tighter. Seeing as how she’s not going to let go, he tells her that they can talk outside of the store. 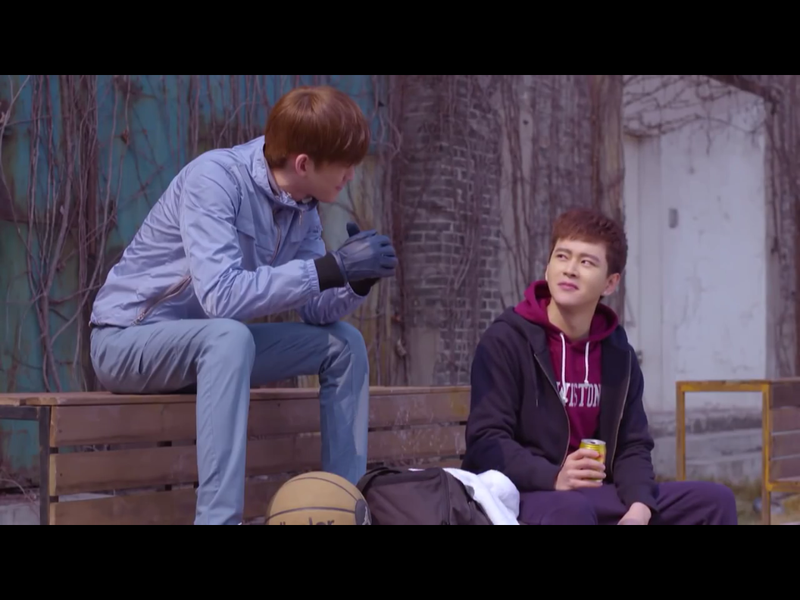 Feng Teng tells Feng Yue and Li Shu to leave first, and Li Shu’s over there looking all sorts of jealous. You’re in the way, Li Shu. Once they’re outside of the store, Feng Teng asks Shan Shan what it is that she wants to say to him. Shan Shan apologizes. She tells him that she didn’t want to tell people about their relationship not because she wasn’t confident in him, but because she was not confident in herself. She never imagined them to break up, but she also never imagined that they’ll stay together forever either. Feng Teng asks Shan Shan what she wants to do now then since the differences between them will always exist. She tells him that she’s made up her mind to become a CPA, and it’s for real this time. She knows that she can’t change her appearance or family background to better match him, but she can improve herself, career-wise. Shan Shan tells Feng Teng that she can’t become a different person to make herself be “good enough” for him, but she will try to become the best Shan Shan for him. Aww. After figuring that Feng Teng and Shan Shan had an argument, Li Shu wonders to wonder why they had to have problems now, right when she’s decided to stop loving him. Back off already! The rival tech company is insisting on suing Windgroup and Zheng Qi for stealing their app idea. Windgroup’s partner company in America is demanding that this issue be resolved in a week’s time before they launch their new phone. Zheng Qi refuses to settle with the company. Feng Teng gives Yan Qing and another guy three days to prepare an argument against the company that’s suing them. Worried about Li Shu? You should be.